Much of the debate about whether Paul was a representative of first-century Judaism has centered on the question of his relationship to Jewish “law,” that is, Torah. 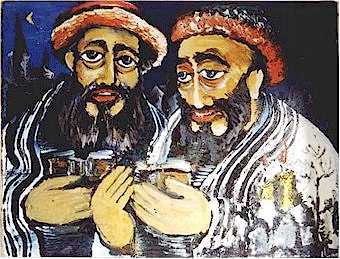 Although a majority of proponents of the traditional view presume that following his “conversion” Paul no longer attributed an intrinsic value to Jewish identity and no longer considered Torah to be binding, adherents of the Paul within Judaism perspective generally maintain that Paul remained a Torah observant Jew throughout his life. For me, it’s a foregone conclusion that Paul followed a Pharisaic lifestyle all of his life and that the revelation of Messiah was not a “conversion” from Judaism to Christianity (and I remind you that in the First Century, there was no such thing as Christianity), but the next step (quantum leap actually) into the understanding and lived experience of God’s redemptive plan for Israel and the Jewish people. Nothing in the revelation of Messiah or becoming his disciple and the emissary to the Gentiles required Paul to change anything about his observance. Well, OK, he most likely developed a more liberal halachah regarding associating with Gentiles, but in terms of his obligation to Hashem, God of his fathers, to the Torah mitzvot, to davening at the set times of prayer, to returning (if at all possible) to Jerusalem for the moadim, to continuing to eat kosher and observe the rest of the commandments, he need change nothing at all. In fact, if he did, he would be diminishing his relationship with God by not being faithful to the Sinai covenant, even as the Master, Yeshua (Jesus) was faithful to the covenant. But that’s hardly the traditional Christian understanding of Paul. The Church believes Paul converted to Christianity, replaced the law with grace, and taught both Jews and Gentiles that the law was done away with and need not be followed any longer. “You see, brother, how many thousands there are among the Jews of those who have believed, and they are all zealous for the Law; and they have been told about you, that you are teaching all the Jews who are among the Gentiles to forsake Moses, telling them not to circumcise their children nor to walk according to the customs. What, then, is to be done? They will certainly hear that you have come. 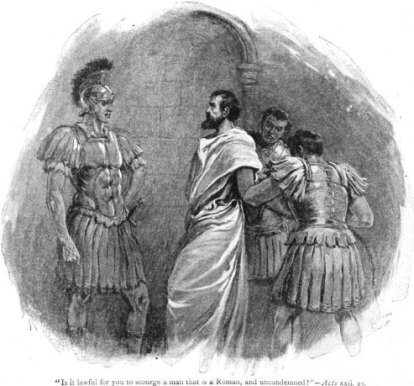 Even though Paul vigorously denied these allegations under oath during a number of legal proceedings, both Jewish and Roman, most Christians believe that Paul really did the things he was accused of, and it’s OK with the Church because they believe Jesus wanted Paul to do all of these things. But then, was Paul lying all those times he denied teaching against the Torah of Moses? If he was, why should we trust anything he wrote that’s recorded in the Apostolic Scriptures? Frankly, if we can’t trust Paul, most common Christian theology disintegrates since, oddly enough, most of what we understand about Christian faith in the Church comes from Paul, not Jesus. Zetterholm in her article, proposes to show us that Paul remained a Torah observant Jew throughout his lifetime. Let’s have a look. In his view, he was not “breaking the law,” but interpreting it, or rather, applying the interpretation of the denomination to which he belongs. Since Jewish law is the result of an ongoing collective interpretation and extension of injunctions and principles laid out in the Hebrew Bible, disagreements over their correct understanding are bound to develop. Actually the matter of how Torah is understood and halachah applied between the different Judaisms of our day is enormously complex, and Zetterholm’s essay wouldn’t even begin to do this discussion justice if, for no other reason, than the fact that it’s simply not long enough. This is a book-length conversation at least. I found myself disagreeing with her somewhat, since I know that an Orthodox Jew would not consider a Reform Jew, for example, to be Torah observant at all. The Orthodox aren’t terribly approving of Conservative observance, either. From an Orthodox Jew’s point of view, only they are observing Torah correctly. It gets even more complicated when you consider the different Chasidic Jewish movements exist, all of which are generally considered Orthodox. At that time Jesus went through the grainfields on the Sabbath, and His disciples became hungry and began to pick the heads of grain and eat. But when the Pharisees saw this, they said to Him, “Look, Your disciples do what is not lawful to do on a Sabbath.” But He said to them, “Have you not read what David did when he became hungry, he and his companions, how he entered the house of God, and they ate the consecrated bread, which was not lawful for him to eat nor for those with him, but for the priests alone? Or have you not read in the Law, that on the Sabbath the priests in the temple break the Sabbath and are innocent? But I say to you that something greater than the temple is here. But if you had known what this means, ‘I desire compassion, and not a sacrifice,’ you would not have condemned the innocent. This isn’t the Master informing this group of Pharisees that he canceled the Sabbath or any of the mitzvot related to observing Shabbat. This is a passionate discussion between two poskim debating proper halachah for Shabbos. That said, I think it goes too far to say all Judaisms may be equally valid in their interpretation of Torah and leaving it at that, but perhaps for the sake of time and word count, as I mentioned above, Zetterholm couldn’t drill down into the details. As I said, the topic is highly complex and nuanced and, not being an expert in Torah, Talmud, and halachah, I’m not particularly qualified to explain beyond a certain elementary point. But what does any of this have to do with whether or not Paul was Torah observant? So far, Zetterholm is laying the groundwork for her readers, and she has to assume that some, many, or most of them do not have a firm understanding of Torah observance among differing Jewish groups. I get that. She takes a number of pages to solidify her argument before moving on to what Torah observance may have looked like in Paul’s time. In addition to the general factors pertaining to Torah observance outlined above, a discussion of Paul’s relation to the Torah is further complicated by the fact that we know very little about halakic observance in the first century. 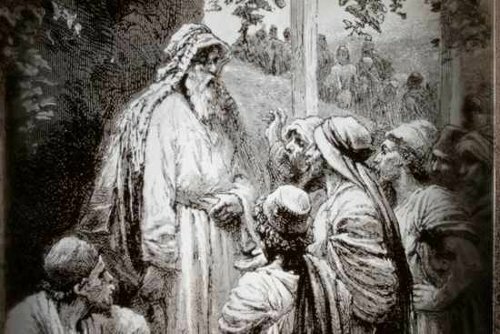 We do know that the Pharisees, Sadducees, the Qumran community, and other Jewish streams differed in their halachic systems, but there’s more we don’t know about those details than we do. If anyone else has a mind to put confidence in the flesh, I far more: circumcised the eighth day, of the nation of Israel, of the tribe of Benjamin, a Hebrew of Hebrews; as to the Law, a Pharisee; as to zeal, a persecutor of the church; as to the righteousness which is in the Law, found blameless. The next question then is did Paul teach anyone to not observe the mitzvot, Jew or Gentile? For instance, is Paul’s permission in 1 Corinthians 10:25 to eat food purchased at the market in Corinth and to eat whatever is served when invited to dine with “an unbeliever” (10:27) really evidence that he no longer considered Jewish law binding, as scholars commonly claim, or is it better understood as an expression of first-century Jewish Diaspora halakah for Jesus-oriented gentiles, as others have suggested? In her discussion of 1 Corinthians 8-10, she answers that question, but in brief, she concludes that Paul was specifically developing halachah as it applied to Jesus-oriented Gentiles. This was not Paul abandoning the Torah or abrogating the commandments for himself or for other Jews, but adapting halachah for the needs of Gentiles, in this case, in the city of Corinth. Actually, Zetterholm wasn’t saying that Paul felt it was proper for Gentile disciples of Yeshua to eat meat sanctified to the pagan gods as such. If the Gentiles in question realized that these “gods” were wholly fictional and not “gods” at all, then whether or not foods were sacrificed to them would be meaningless and no harm is done in eating it. Only if these Gentiles were in the presence of other non-Jews, either pagans, or Gentile believers who may have been “newly minted” or otherwise weak in their faith, should they abstain from such meat, lest they give the impression that they were approving of pagan worship. Paul’s argument here bears a resemblance to the rabbinic idea of mar’it ‘ain, the principle according to which one must refrain from acts that are permitted but inappropriate because they may lead a less knowledgeable Jew to draw false conclusions and cause him or her to do something that is not permitted. One example of this she gives is a Jew who puts a piece of cheese on a vegetarian “hamburger”. Although this is not mixing meat and dairy, another Jew who casually observed the event might get the wrong idea. Zetterholm goes into the “nuts and bolts” of her argument using the 1 Corinthians 8-10 example in much more detail than I have room for here. For the complete answer, you’ll have to get a copy of the book and read what she’s written. Far from declaring Jewish law null and void, Paul is engaged either in establishing a halakah concerning idol food for Jesus-oriented gentiles, or teaching them an existing local Corinthian Jewish halakah. In either case, Paul is clearly not abrogating Torah observance for Jews, he’s adapting or creating halakah specifically for his non-Jewish students because such halakah wasn’t necessary before there were Gentile disciples of the Jewish Messiah operating in community with other Gentiles and with Jews in a Jewish religious movement. This also addresses (again) the matter of how Gentiles were to relate to the Torah in general, and Pharisaic halachah in particular. In this example, Paul was not teaching the Gentiles to observe the Torah and perform the mitzvot in a manner identical to the Jewish believers. He was adapting or inventing halachah that was specific to Gentiles but not necessarily applicable to Jews. This is probably why, referring back to Acts 21, some of the Jews in Jerusalem had the idea Paul was teaching against the Torah. He was teaching Gentiles that their obligations were different and certainly not as stringent as those of the Jews. Somehow the information was twisted, deliberately or not, to be interpreted that Paul was teaching Jews that they were not obligated to the mitzvot and did not have to circumcise their infant sons on the eighth day. We have no means of knowing whether other Jews regarded Paul as lenient or strict, but in light of the complex nature of Torah observance in general and rabbinic legislation on idolatry in particular, nothing in his reasoning seems to indicate that he had abandoned Jewish law. Derek Leman had written the first part of a two-part article for the now defunct AncientBible.net site called “Paul Was Too Jewish for the Synagogue.” I reviewed it here on my blog about sixteen months ago. It was Derek’s opinion that Paul may have been too strict in his observance for many diaspora synagogues, indicating the Apostle’s devotion to the Torah of Moses was rather high. In addition to Leman, I think Zetterholm makes a compelling case for concluding that Paul was indeed a Torah observant Jew throughout his life, even as he was also an emissary to the Gentiles at the command of the Master. I’ll post the next part of my review of the Nanos/Zetterholm volume soon. Chul, it would have been a necessary act on Paul’s part since there was not pre-existing halachah that allowed non-Jews equal status within Jewish community as well as receiving blessings from the New Covenant and still not requiring the non-Jews to undergo the proselyte rite and become obligated to the full yoke of the Torah mitzvot. I believe that the scripture was fully inspired by Hashem and Paul must have been inspired to build the halakah for the gentiles and still keep Torah intact, as you said. Nonetheless, I think the majority of the Messianic Gentiles including myself feel very tempted to convert to Jews as they probably don’t really belong either to the church or the messianic synagogue or just a plain normal synagogue, probably the identity crisis or sense of belonging would have been the heart of the matter. As you are very much aware, some of the messianic pharisees in acts 15 asserted that the gentiles should be circumcised and this assertion was flatly turned down. I assume that Shaul, a pharisee, should have had the same understanding as the other pharisee believers, But then he also oppose to that idea, which means that his perception of Torah may have changed. I know that a number of non-Jews in the Messianic movement have converted to (Orthodox) Judaism to resolve within themselves the apparent dissonance between who they are as Gentiles and how they study and worship within MJ. This is a sad and mistaken decision, since we have ample Biblical evidence that conversion is not only unnecessary, but in most cases it was opposed by the Apostle. There are many prophesies that indicate the Gentiles will come alongside Israel in Messianic days and “every knee shall bow,” Jew and Gentile alike. But how can these prophetic statements come to pass if Gentiles feel the only way to worship the God of Israel and Yeshua HaMoshiach is to convert to Judaism? I also think it was necessary or a must for Shaul to do it. But then, where does he get this halakah from? From the Torah? Well, of course, he might have been inspired by Hashem. That’s indeed for sure. However, there must have been some basis for receiving such revelation.. I rest my case.. Shaul is very difficult to understand.. indeed.. The answer to that question is complex. Paul was applying his understanding of the New Covenant (Jer. 31, Ezek. 36) relative to the Abrahamic Covenant that states Abraham will be the father of nations and his seed will be a blessing to the nations. For a more detailed answer, you can read my reviews (a series of five) of D. Thomas Lancaster’s sermons What About the New Covenant or read my 11 part series (12, really) of my personal exploration of how Gentiles fit into the New Covenant blessings The Jesus Covenant. Thank you, James. I’ve read it and it really clarified my understanding. I guess I am just a toddler in knowing the truth. I think you have a gifts of a teacher and you should not only use that in the blogs but also in other places, seriously. I don’t know how you made the decision to leave the church and I am guessing there may have been many factors that I don’t know, which made you decide to leave the church. I myself left the church for a year and I am going to return to the same old church though I might not like what I find in there. I may be the same old flippant guy who wants to see some changes in the church and I might not be the one who makes that change. Nonetheless, I do believe that there is someone who can still speak up for Israel and tearing down the RT. I haven’t met you face to face a single time and I don’t know you that well. But what I do know is that you are very gifted in teaching and that teaching is a blessing to many. I think church really needs you somewhere you can really teach the audience what they really need to hear. I know your heart fervently burns for Hashem and his people and also in truth. I also want you know that I and definitely others greatly benefiting from your posts every day. Think about my suggestion, James. May Hashem bless you and your Jewish wife and children. G-D bless! Hey James, I am sorry if I said something wrong especially my suggestion. I thought it would be mutually beneficial for the church and you to teach in congregations or the church. I did not intended to infringe upon your past decision or anything. I was just one of those person who are benefiting well from this blog. Anyways, I apologize for what I said and may Hashem keep on blessing you! Wow. Thanks for that. Cheers.